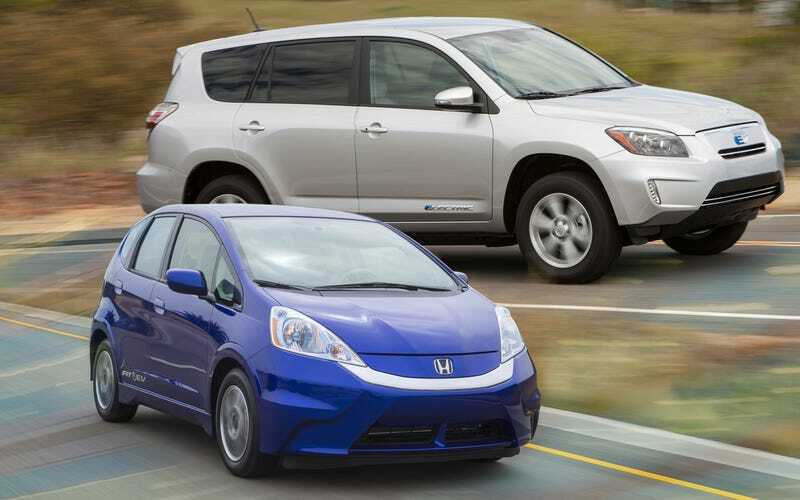 The Honda Fit EV and 2nd generation Toyota Rav4 EV are both around $19,000. I think EVs will be the surprise collector cars of future decades (especially when you look at the first gen Rav4 EV cult...ure). With that said, the Fit EV really does showcase some of Honda’s great engineering. But the real gem is the Rav4 EV since it actually uses Tesla’s EV tech similar to the base Model S. I mean the Rav4 EV can easily get over 100 miles and only takes like 6 hours to charge. I’m telling you Oppo, toss both of these on a flatbed, take them out every so often, keep them clean, and you will sell them for original MSRP (minimum) in less than 15 years. Just for fun, I’m gonna let ya’ll browse EVFinder, just to see the type of conversions people are doing.